Since last May, Russia has its own ‘Schengen’. It’s a place where you can go for pleasure or business. It’s a restaurant in Saint Petersburg. The restaurant is located not far from the Finnish Consulate, where the owner goes to get “the cherished Schengen visa.” Hence the name. But there is more to it than pure happenstance. The reference to ‘Schengen’ is meant to evoke the cosmopolitan aura that Europe’s area of free movement is supposed to project, together with other related ‘progressive’ notions such as open-mindedness, sophistication, and freedom. This spin is not that surprising. After all, the purpose of any act of ‘branding’ is to sell a product to a customer, and thus the product should be associated with something positive. In the eyes of the management, ‘Schengen’ is supposed to do the trick. 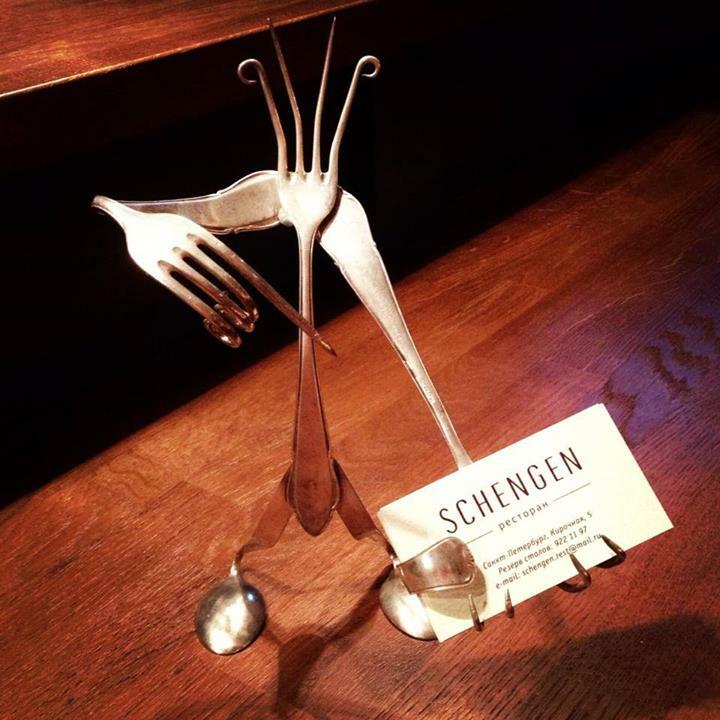 From its clientele to its look, Schengen (the restaurant) thus seems to uncannily represent a microcosm of Europe’s border free area, or at least what European policy-makers would like to present outside the region. In this sense, Schengen (the restaurant) is not unique. There are other examples of businesses with topographical names reminiscent of a location that is different from the one where that business actually lies. It is arguably one of the most common practices in the hospitality industry. After all, almost all respectable cities around the world have a ‘London’ or ‘Paris’ restaurant, even if these establishments are located neither in England nor in France. The Schengen restaurant is also not the only bearing a name of topographical entity that does not actually exist. (We should keep in mind that formally ‘Schengenland’ is not a political entity that we can ﬁnd on a map; in EU legal documents, the reference is still to the territory of member states). Cities are replete with hotels bearing the names of ﬁctional locations, including mythical ones (for example, ‘Paradise’, ‘El Dorado’). What’s up, its fastidious piece of writing regarding media print, we all be familiar with media is a great source of data. vicieuse a envie de bite. Hi there, the whole thing is going fine here aand ofcourse every one is sharing data, that’s truly good, keep up writing.